Slating & Tiling is our speciality, so get in touch with Atlas Roofing if you’re looking for experienced roofers in South London! Since slates and tiles have been used for centuries, they are still the main materials which cover our roofs, . Whichever material you chose, they’re both very sturdy against the weather and will be fixed to your roof on batons . Furthermore it’s worth noting that the decision is usually dictated by the area you’re living in. If the street is full of tiled roofs, you’ll probably go for that! So how are slates & tiles fixed? Unlike tiles which generally hang on the batons, slates usually come pre-drilled and are attached to the roof with nails. While we love to use natural slates as they look fantastic, there are artificial versions out there which are a little cheaper but they won’t last as long. Therefore we source all the roofing materials for you, and we always use the best quality clay tiles or slates. Should you want any advice on which material to go for, contact one of our local roofers by filling out our quick enquiry form. 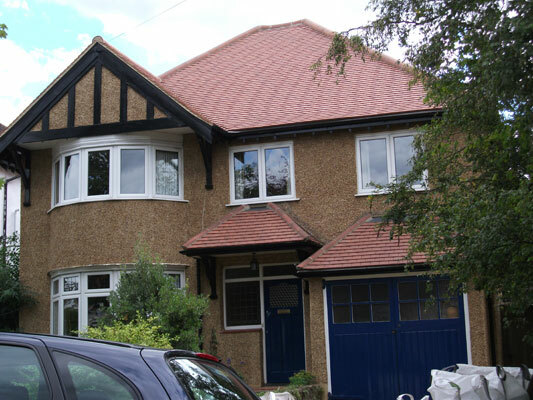 So call Atlas Roofing Construction today to arrange a free, no obligation inspection of your roof by a qualified roofers in South London, Croydon or Surrey.